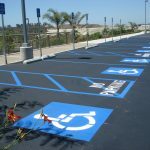 Choosing between asphalt and concrete for your parking lot paving can be difficult, but it shouldn’t be. Individually, they both have their benefits and downfalls, but together they can help make your parking lot stronger and a force to be reckoned with! Generally, asphalt will last between 15-20 years. It does require maintenance, especially if it was constructed properly and the right option was used for your area. 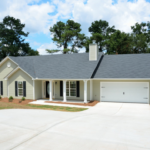 For example, if your property is in an area where there is heavy annual rainfall, you will want to protect your surface with a sealcoat to prevent long term water damage. With that being said, if there is damage to the surface, little cosmetic touchups such as patching and overlays can become necessary. On the other hand, concrete will last between 20-25 years and is a lot more heavy duty. While asphalt is prone to alligator cracking, concrete will usually crack in a straight line due to the addition of control joints during the installation process. This makes it easier to replace individual slabs rather than reconstructing the entire property surface. Asphalt is constructed 2-3 inches thick on a standard aggregate base. 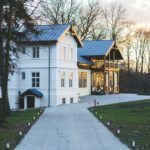 It is a less costly option, but does require maintenance due to its tendency to deteriorate quite easily in comparison to concrete. We all know how thick and heavy concrete slabs and structures tend to be. Concrete paving is usually constructed at 5-7 inches thick which makes it about double the price of asphalt. 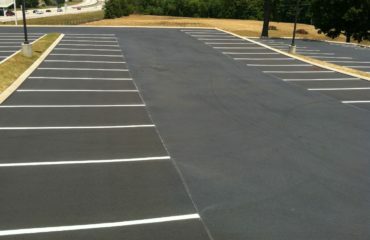 Installing asphalt on the majority of your parking lot can be a great cost efficient option. 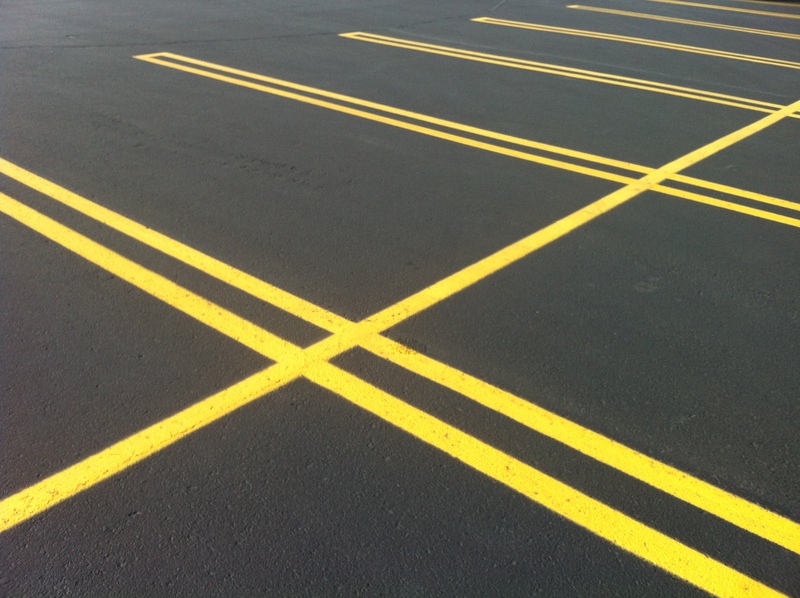 Asphalt is also a dark colour, so striping will be easily painted and visible. On the other hand, a 7 inch thick installation of concrete can be a great option for load-in/load-out areas experiencing heavy traffic and heavy trucks. Going about your project in this way by incorporating both materials into areas where they would be most useful ensures your business and its surfaces reap the benefits for a long time. 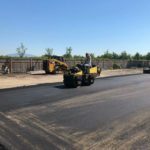 When you work with Richmond Blacktop, you work with a company that is professional, knowledgable in all aspects of paving and the materials and processes involved. Contact Richmond Blacktop should you have any questions, or to book a free consultation!